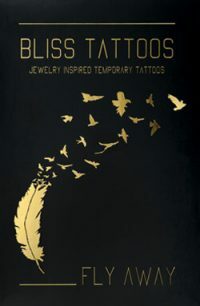 Bliss Tattoos are unique skin jewels. We have carefully designed our collections to suit all tastes and styles ! Discover our collections now ! 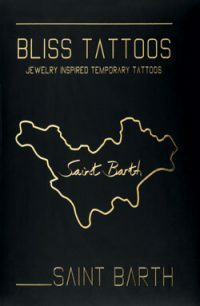 Our high quality tattoos keep their shimmer, and last up to one week with special care. Simple and easy to apply with just a little water and sponge. A stunning tattoo in less than 30 seconds ! 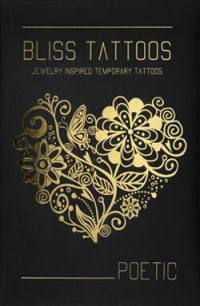 Bliss tattoos are totally safe and non-toxic. Suitable for kids ! 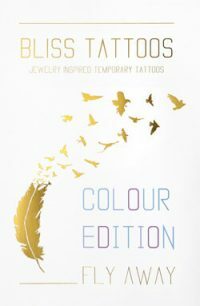 Bliss tattoos are totally waterproof, they resist completely underwater, sea, pool or shower. Our packing is luxurious and elegant making them the perfect gift for all occasions. 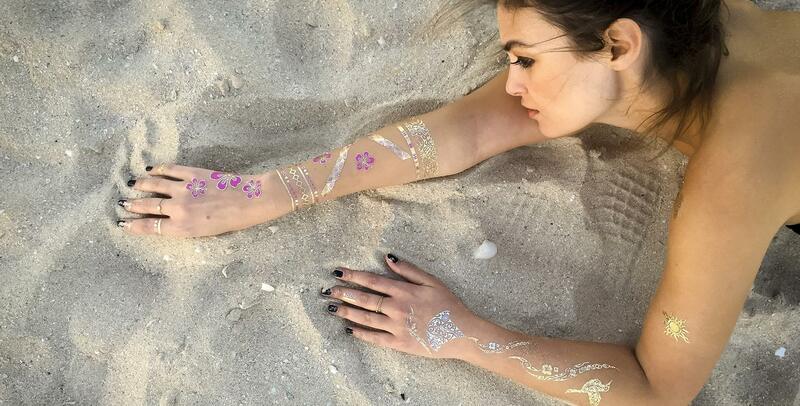 Perfect for all occasions, parties, festivals, beach, whenever you want to enhance your look ! 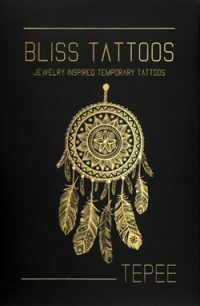 Our packs are generous in tattoos, approx 35 per pack, giving you endless possibilities ! We offer a free shipping service worldwide over 2 packs. All orders are dispatched in 48h. 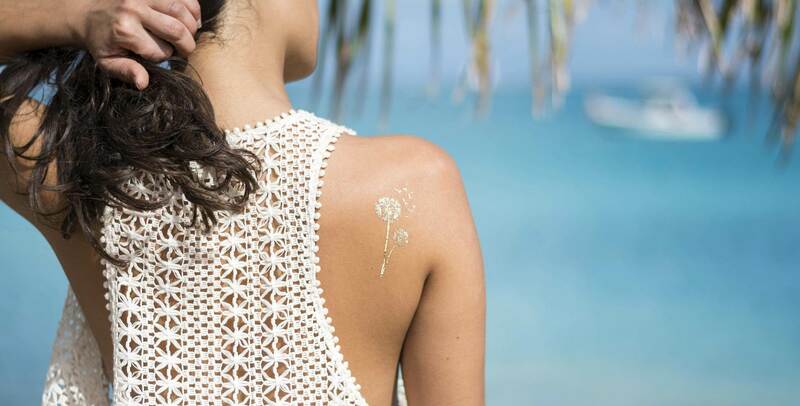 The adventure of Bliss Tattoos began in the summer of 2014 as I strolled along the paradisiacal beaches of St. Barts At that time I wanted to immortalise this joyous moment with a tattoo. 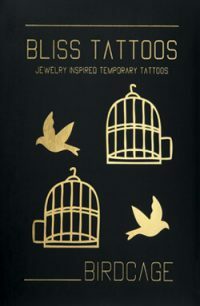 However I wanted a tattoos that could offer me the freedom to be flexible according to all my various styles and moods, a true reflection of the different moments experienced throughout my life… That’s when I had the idea of creating temporary tattoos that I could change and wear according to my desires. I quickly realised that they could enhance a tanned skin on the beach by day and be a versatile and playful accessory to an outfit by night. 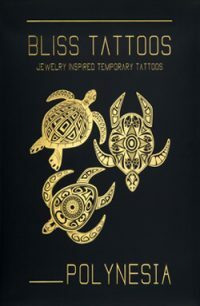 I wanted to create different collections, each with its own strong identity, a story inspired by my travels, my ‘coups de Coeur’ I also wanted my tattoos to be able to complement all styles. 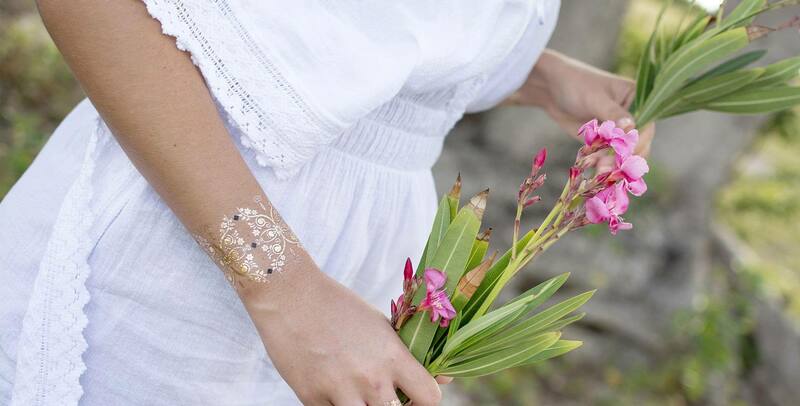 The temporary tattoo is a great way to express oneself in a world where we constantly re-invent our identity style and vision of beauty. Enjoy! Our tattoos are a fantastic way to animate any event. We have provided our unique services to bring a touch of sparkle in weddings, birthdays, and theme parties, we provide for all occasions.